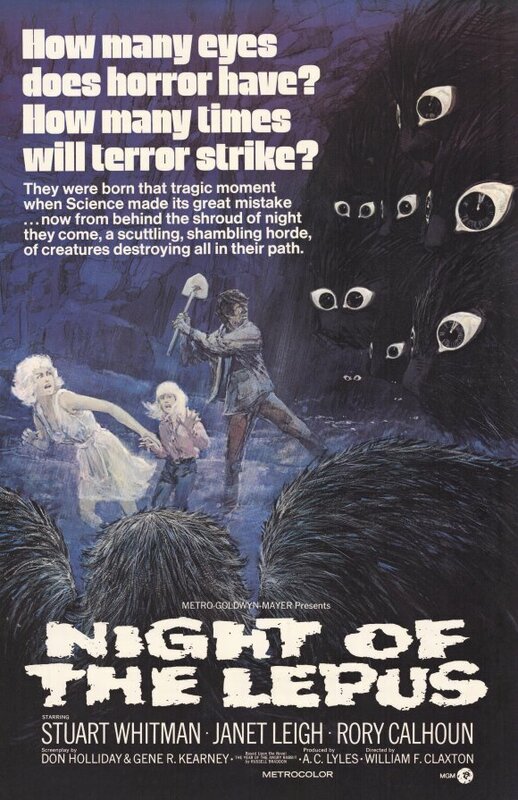 Based on an effective 1964 science fiction novel, 'The Year of the Angry Rabbit', 'Night of the Lepus' seemed a doomed experiment right from the start. The director, William F. Claxton was a veteran of Westerns with no experience in either the horror or sci fi genres. He refused to attempt any sort of tension whatsoever such as the use of shadows, suggestive lighting or scary music. Nor did he portray his ferocious bunnies as they were in the novel (hideously fanged, mutated wild rabbits) and instead opted for your fluffy white garden variety which he filmed at high speed to give them an appearance of 'size' and 'menace'. Claxton was a director of Westerns and Westerns only and used that mindset throughout (no matter how inappropriate it was), relocating the story from Australia (as it was in the novel) to Arizona (where he and his assistants could feel at home in open prairie land). Claxton also removed the novel's idea that the mutant rodents were also carriers of a viral plague which if used, could have shifted much of the story away from the beasties and toward a more tense human dilemma. My only guess is he didn't want things to get too scary and if that was the case, he succeeded admirably. Though the idea of giant, man eating rodents CAN be genuinely effective (see The Killer Shrews as an example of how to milk the tension it correctly), this film fails at every conceivable level in the terror department. As camp, it's actually fairly fun and (along with it's colorful cast of veteran actors whom do an admirable job of keeping a straight face through it all ) is the reason I'm giving it as high a rating as I am.